A professor at the University of Michigan is under fire for saying he can’t write a letter of recommendation for study in Israel because he supports a boycott of the country. 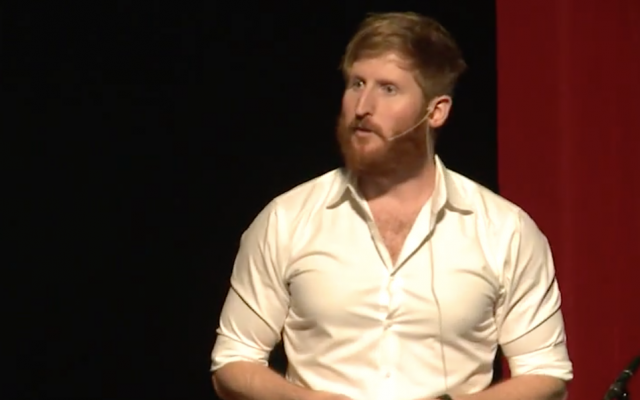 John Cheney-Lippold, a professor of American culture, declined to recommend junior Abigail Ingber for a semester abroad in Israel because he supports the Boycott, Divestment and Sanctions movement against the country, known as BDS. The email was first publicised Sunday in a post on the Facebook page of Club Z, a pro-Israel group for young people. JTA has reached out to Cheney-Lippold and Ingber for comment. Ingber declined to comment on the incident to The Michigan Daily, the campus paper. Cheney-Lippold told The Michigan Daily that he supported the boycott in solidarity with Palestinians who have called for it. Several academic associations, including the American Studies Association in 2013, have voted for boycotts of Israeli universities. Cheney-Lippold rejected the idea that his refusal was anti-Semitic, and said his decision is meant to urge Israel to comply with international law in its treatment of Palestinians. In a statement to JTA, Club Z’s executive director, Masha Merkulova, said the decision is anti-Semitic as it came “solely because her chosen destination is Israel.” She accused the professor of holding Ingber to a double standard. The U.S. Department of Education may agree. Its Office of Civil Rights under Kenneth Marcus, the department’s new assistant secretary for civil rights, is employing the State Department’s definition of anti-Semitism, which includes some types of anti-Israel activity, in investigating claims of discrimination under Title VI of the Civil Rights Act. The definition includes “applying double standards by requiring of [Israel] a behaviour not expected or demanded of any other democratic nation” and holding Jews collectively responsible for Israel’s actions. Marcus recently employed the definition in reopening an investigation into an allegedly anti-Semitic event at Rutgers University in 2011. Last year, the University of Michigan’s Central Student Government called on the university to investigate divestment from companies that violate Palestinian human rights. The university’s Board of Regents rejected the call. The Palestinian Campaign for the Academic and Cultural Boycott of Israel, affiliated with the Palestinian BDS National Committee, urges faculty not to write recommendations for students hoping to pursue studies in Israel.